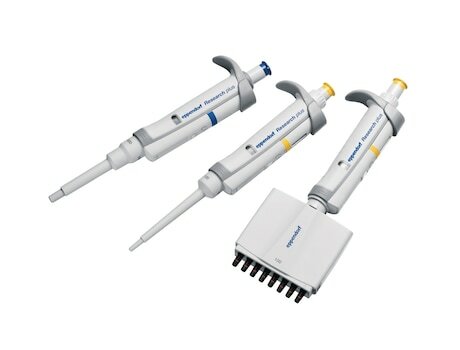 Eppendorf sets a new standard in pipetting. The ultra light Eppendorf Research plus pipette meets the highest needs in precision and accuracy – combined with ultimate ergonomics and increased flexibility. It is a good feeling to know you are doing the right thing – to know you are working with one of the most advanced pipettes in the world. 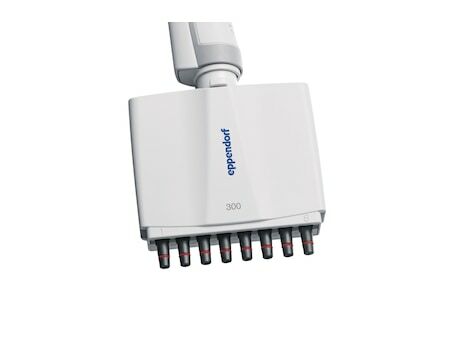 A spring loaded tip cone, a secondary adjustment option, an improved volume display – and all that in an ultra light, fully autoclavable pipette: That is the Eppendorf Research plus pipette. Your next experiment will need new pipetting schemes. Your new laboratory might have different sources of contamination. Your new pipette should offer all the flexibility you need. Calibrate your Research plus to your needs, autoclave the entire pipette or only the lower part. Choose among single channel, multi channel and fix-volume pipettes in different sizes. Feel the difference in weight, pipetting forces and the spring loaded tip cone.The more strain you experience, the less energy you have. And because energy is a very precious and exhaustible resource, we try to use it as efficiently as possible. 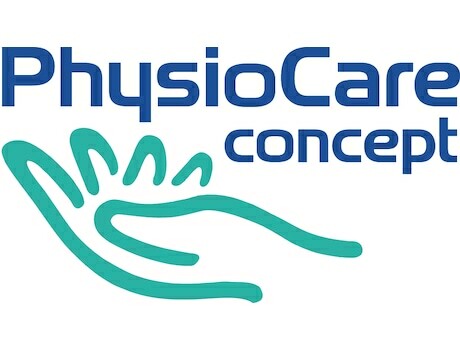 Thus the Eppendorf Research plus has been developed within the strict criteria of the Eppendorf PhysioCare Concept®.PhysioCare Concept® stands for ultimate durability, intuitive operation and above all for perfect balance and minimal user exertion. The spring loaded tip cone saves your energy and time. No need for rocking. The spring limits the attachment and ejection forces and guarantees a reproducible and safe tip fit. It provides increased user to user reproducibility for more uniform results among members of the lab.